Shefali is a senior international banker with 18 years of experience in consumer and corporate banking with Citigroup and DBS Bank. In her current role as Executive Director of the Technology & Operations Strategy & Planning Management Office, Shefali has executive oversight in areas such as Customer Experience (CE), Strategic Initiatives, Change Management and Future of Learning. As the regional CE lead for consumer and private banking, Shefali oversaw and executed CE strategies for DBS, Southeast Asia’s largest bank, in countries including India and Indonesia, and developed customer acquisition and on-boarding framework for the affluent segment. She has consistently led projects and teams to exceed set goals and expectations in wealth management, cards and consumer liabilities businesses, among others. 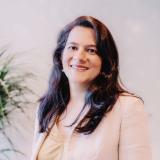 Prior to DBS, Shefali held several senior positions in Citigroup India and the UK, spanning business management, sales, marketing, credit and operations. In her last role as Senior Vice President, CITI EMEA, she was the Head of Client Delivery, Service & Credit, Commercial and Pre-paid cards, and was a member of the Commercial Cards Management Committee. Based in Singapore, Shefali studied Management in India and is married with one daughter. Check out the incredible speaker line-up to see who will be joining Shefali .